Quality Heating & Air Conditioning has been entrusted to the furnace repair and Air Conditioner (AC) Repair of households in the Bradford, ON area for years. Our 100% satisfaction guarantee makes us the company to call when your temperature control systems have let your down. Are your experiencing strange sounds, smells or inadequate heating and cooling even though you are adjusting your thermostat? These may be signs of larger issues and, at the very least, can be causing higher running costs. A thorough inspection by a skilled technician will ensure you against damage, loss of air quality and perhaps a system breakdown. When there has been a malfunction or disruption to your heating or cooling system, you are not only inconvenienced short-term by a loss of comfort, but it also can impact your safety and budget. There is no other furnace repair or AC repair company serving Bradford, Ontario that takes this disruption to your comfort and safety more seriously than Quality Heating & Air Conditioning. We have served the community with an unrivaled dedication to our customers’ satisfaction. Our dedication to our community is your business. Other contractors who may cut corners or who offer the quick or cheap fix may be gone when you are experiencing the larger issues down the road as a consequence. We are here now, but more importantly, we want to earn your trust that we will be here in the long run. We service all makes and models of heating and cooling equipment and our certified technicians have years of training and experience. They are each equipped with state-of-the-art diagnostic equipment to help get to the heart of the problem quickly and efficiently. Our pros conduct comprehensive system checks and work with every attention to detail. We believe your time is valuable so we assure you of courteous, punctual service calls and mess free work sites. Not only are we available for emergency repairs, but we offer maintenance plans that ensure that your system is working at peak proficiency when the weather warrants it. By conducting regular, scheduled maintenance, you may experience savings on utility bills and reduce energy consumption. The peace of mind that you will experience knowing your system is getting regular service and operating at peak proficiency is priceless. We offer maintenance, tune-up and cleaning services for your furnace, air conditioner, fireplace and water heater and also offer whole house duct cleaning. When you call Quality Heating & Air Conditioning for AC repair or furnace repair in the Bradford, ON area, you get immediate results paired with our unparalleled customer service. We work not only to resolve the immediate issue, but look for ways you can ensure your system’s reliability, efficiency and longevity. We provide skilled maintenance and repair of all furnaces and air quality products and want to be your dedicated service experts for the comfort, safety and health of your heating and cooling systems. When it is time for your heating or cooling system to be updated, we have the information and know-how to educate you on what systems will be best for your home and budget. We represent most makes and models on the market today and recommend the products that are premier in the marketplace. When your current system has run its lifespan, we will consider your house’s layout, your family’s needs and your financial situation. New systems are more energy efficient and cost effective than older systems and sometimes are timely investments well worth the time and effort. When that time comes we will discuss all the alternatives with you and give our recommendations. Have an emergency repair? Don’t worry. The professionals at Quality Heating & Air Conditioning are dedicated to your satisfaction and offer you a 100% guarantee. If you are not happy, we are not happy and will make it right. We want to be the ones you turn to for all your Air Conditioner (AC) Repair or furnace repair needs in the Bradford, ON area. 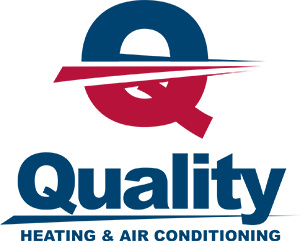 Whether you need emergency repair, regular maintenance or are considering a new system, call us At Quality Heating & Air Conditioning, we want to be your heating and cooling super heroes.